Camellias are renowned for brightening up the winter and early spring landscape with their colorful and stately blooms. Camellia ‘Yuletide’ comes into bloom just in time for the holiday season. Its single, bright red blooms are accented with bright yellow stamen for a dramatic effect. Plants sport deep, dark green foliage with a glossy sheen. Due it it’s more compact size, this C. sasanqua variety is excellent when used for a small privacy screen, foundation shrub or statement plant in mixed borders. Camellia ‘Yuletide’ can be used as a large container specimen or even Espaliered. 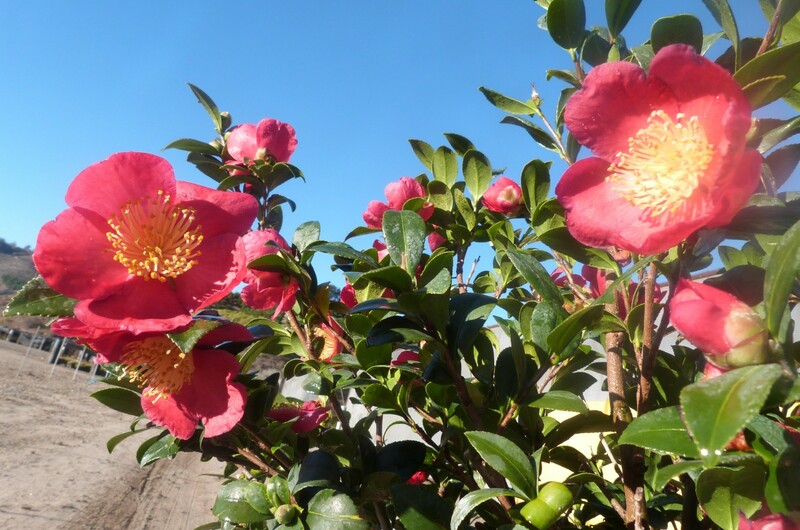 Camellias are best situated where they receive filtered shade, or morning sun. Hot afternoon sun typically scorches foliage. Camellias thrive best in slightly acidic soils and when provided with consistent moisture through the growing season.